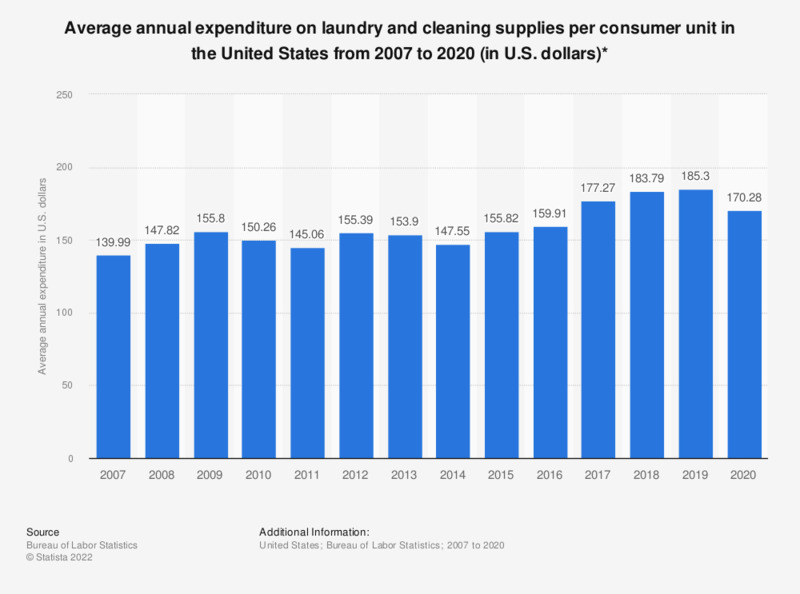 This statistic shows the average annual expenditure on laundry and cleaning supplies per consumer unit in the United States from 2007 to 2017. In 2017, the country's average expenditure on laundry and cleaning supplies amounted to 177.27 U.S. dollars per consumer unit. Everything On "Household cleaning products brands: Tide & Febreze" in One Document: Edited and Divided into Handy Chapters. Including Detailed References. What type of laundry organizer did you buy in the last three months?